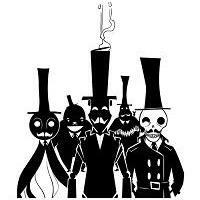 The Odd Gentlemen is an independent video game studio based in Los Angeles. Paul Bellezza and Matt Korba founded the company in the fall of 2008. Matt Korba is currently the President and Creative Director of The Odd Gentlemen. The studio's debut title was the critically acclaimed, multi-award winning The Misadventures of P.B. Winterbottom, which was released for Xbox Live and PC in February 2010. Upcoming projects include a collaboration with Neil Gaiman called Wayward Manor. The Odd Gentlemen strive to become masters of the short form gaming experience. They make games that are humorous and create charm with new worlds, fantastical characters, and compelling stories inside of experimental gameplay. The Odd Gents are purveyors of games that are easy to pick up and play but provide depth to the thinking gamer. They make games that both the old and young can enjoy alike.